Kathy Kacer's second book in her middle grade series about heroic rescues during WWII tells the tale of siblings Helen and Henry, and history's most famous mime. Desperate to save them from the Nazis, Henry and Helen's mother makes the harrowing decision to take her children from their home in 1940s Germany and leave them in the care of strangers in France. The brother and sister must hide their Jewish identity to pass for orphans being fostered at a convent in the foreign land. Visits from a local mime become the children's one source of joy, especially for Henry, whose traumatic experience has left him a selective mute. When an informer gives them up, the children are forced to flee yet again from the Nazis, but this time the local mime--a not yet famous Marcel Marceau--risks everything to try to save the children. Masters of Silence shows award-winning author Kathy Kacer at the top of her craft, bringing to light the little-known story of Marceau's heroic work for the French Resistance. Marceau would go on to save hundreds of children from Nazi concentration camps and death during WWII. 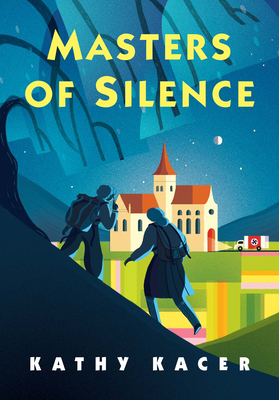 In characteristic Kacer style, Masters of Silence is dramatic and engaging, and highlights the courage of both those rescuing and the rescued themselves. Wenting Li's chapter heading illustrations and evocative covers provide the perfect visuals for the series.